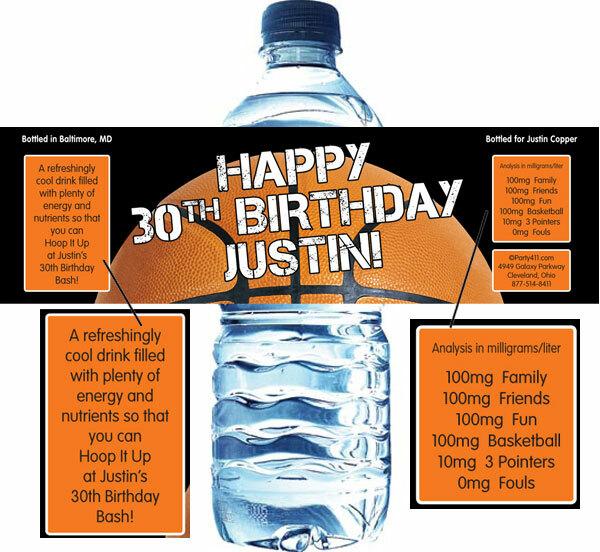 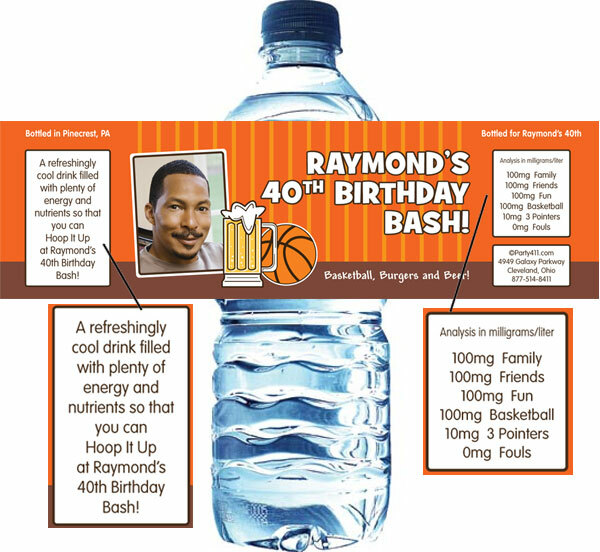 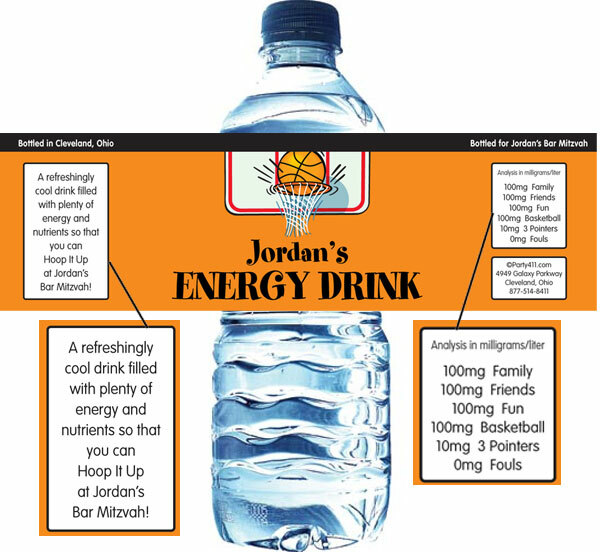 Score with these personalized basketball, baseball, soccer, golf theme bottle labels. 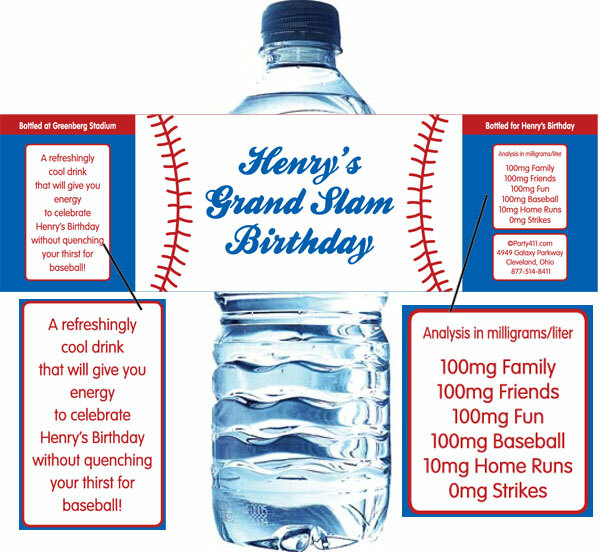 Perfect party favor for any sports theme party. 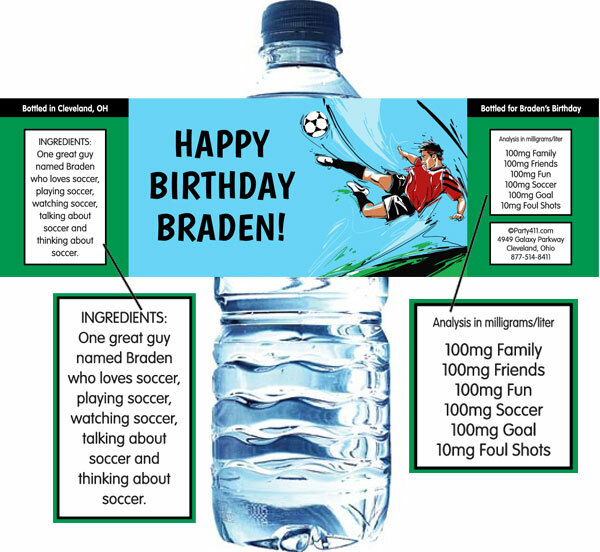 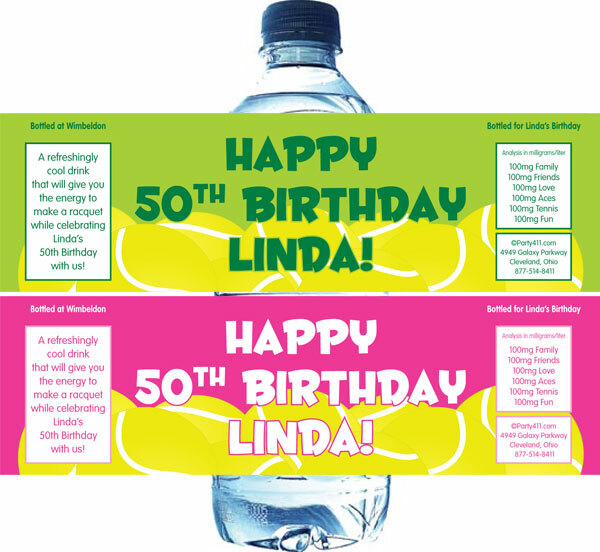 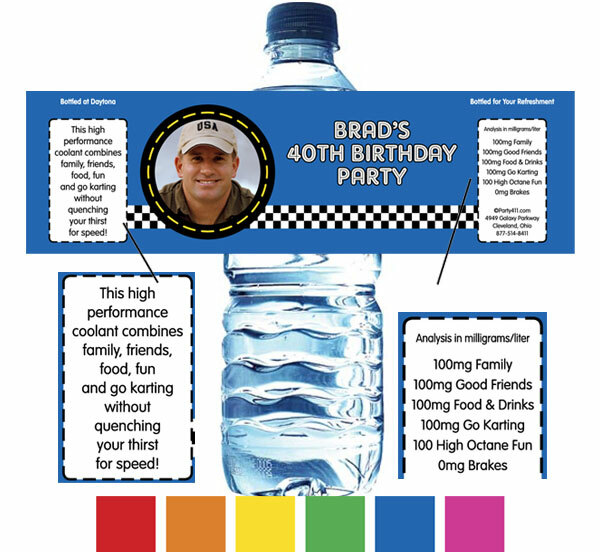 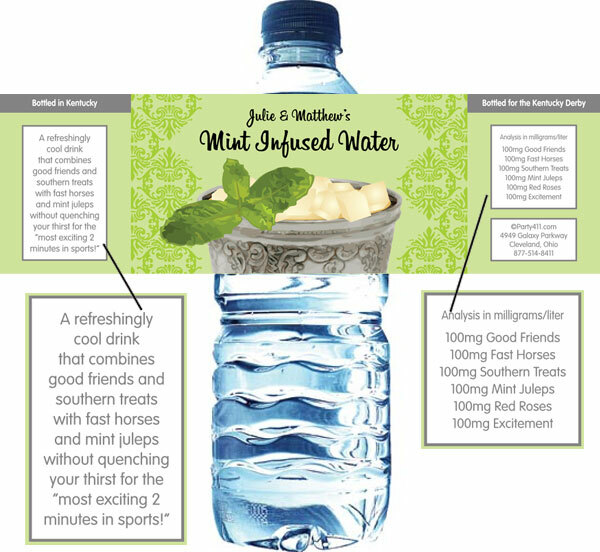 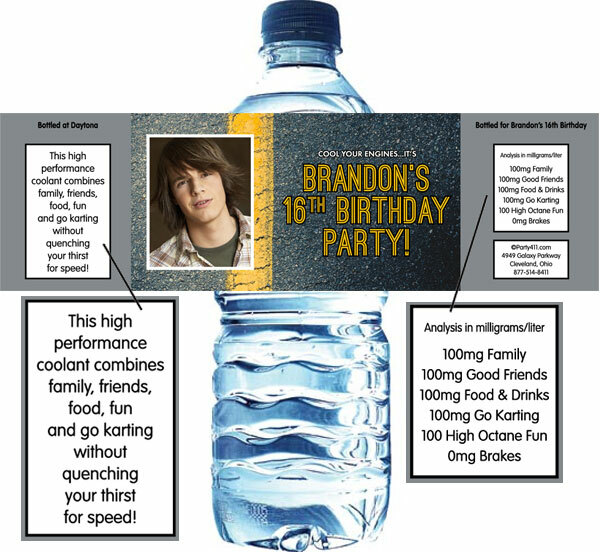 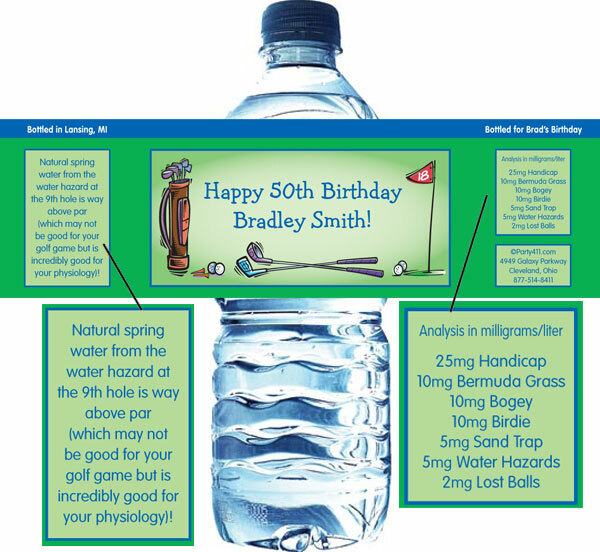 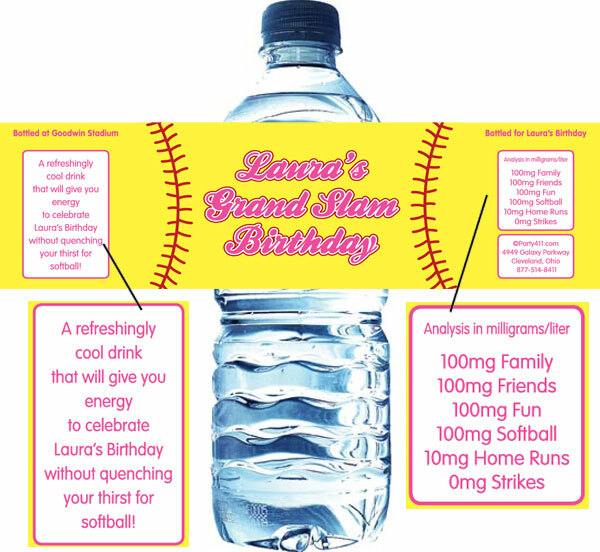 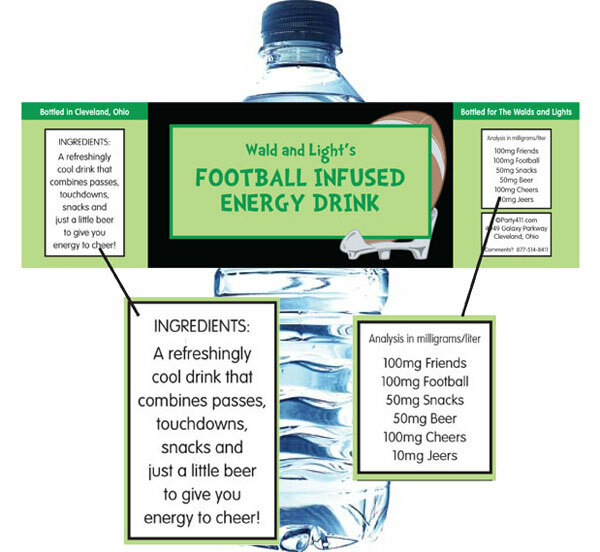 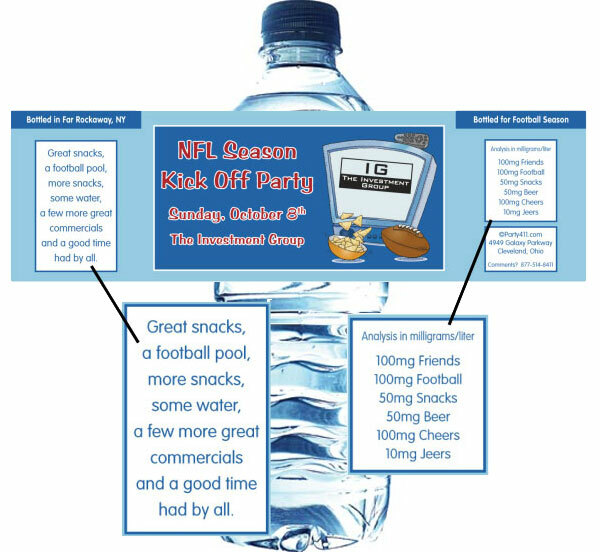 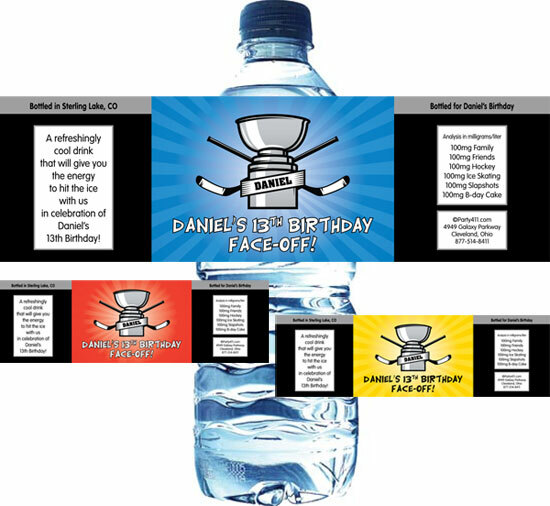 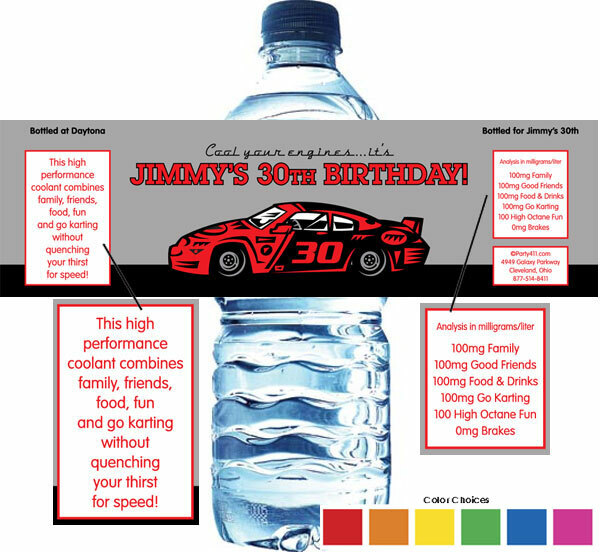 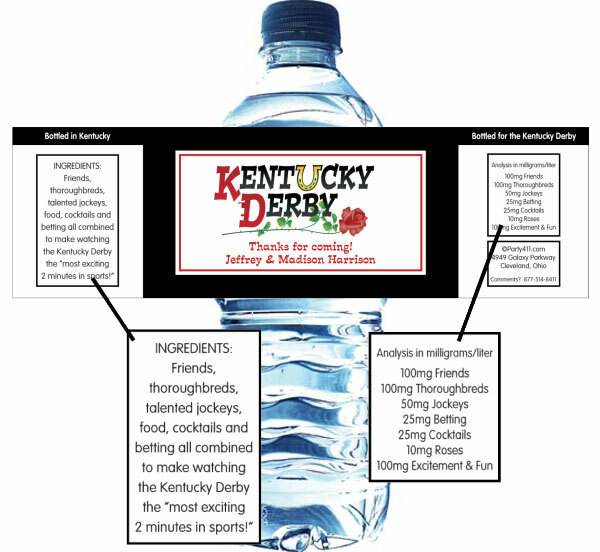 Customize sports theme water bottle labels with your wording and add them to tables, the bar, welcome bags or the sidelines! 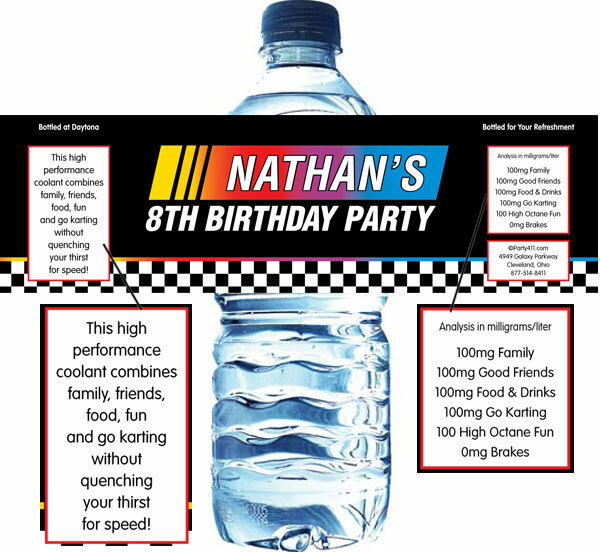 Great for when they cross the finish line! 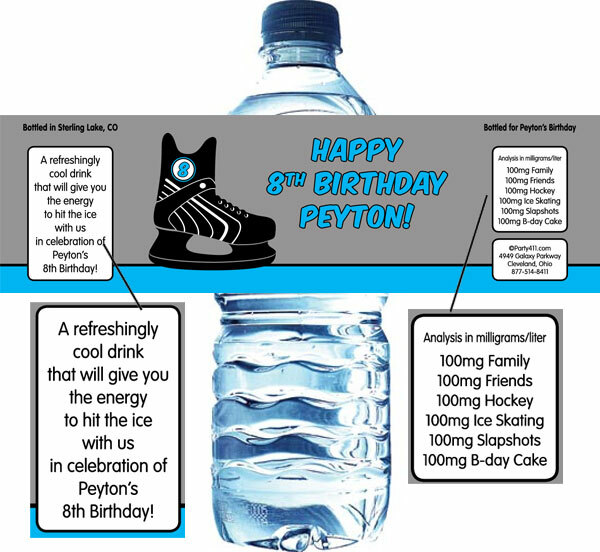 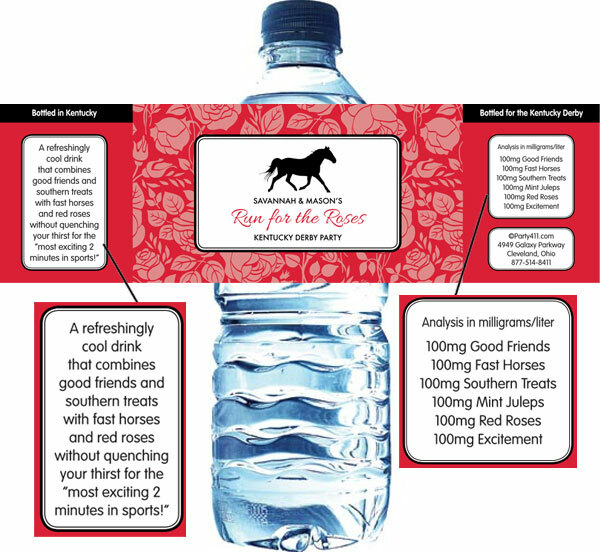 Wrap your water bottles with this great Super Bowl label! 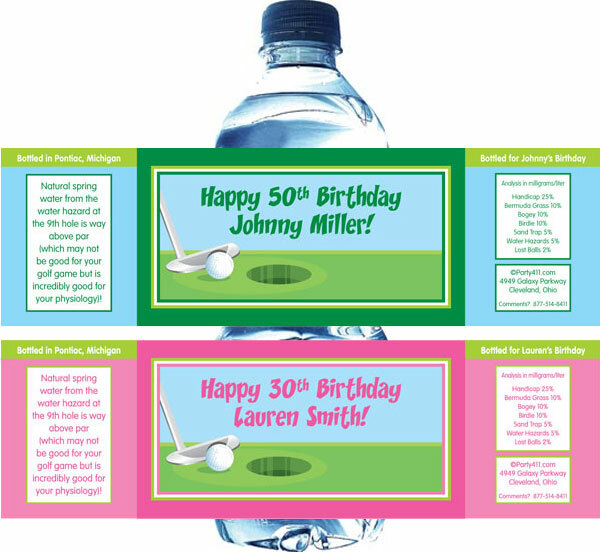 Put personalized water in all the carts! 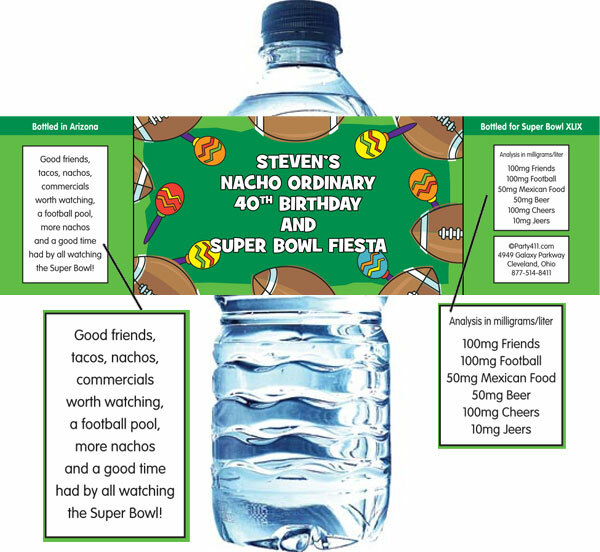 Wrap your water bottles with this great Mardi Gras Super Bowl label! 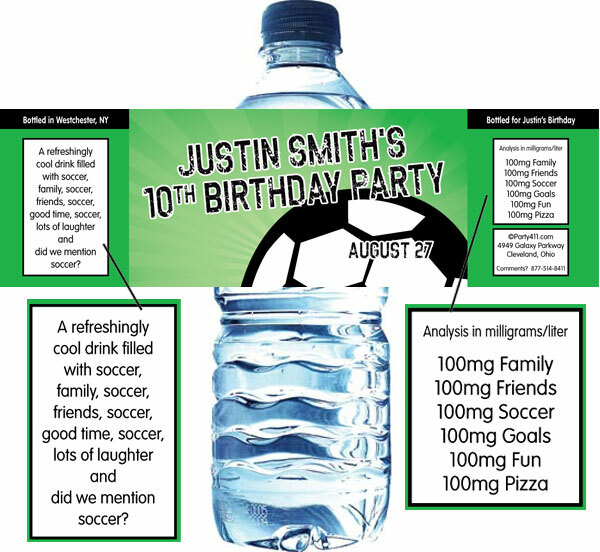 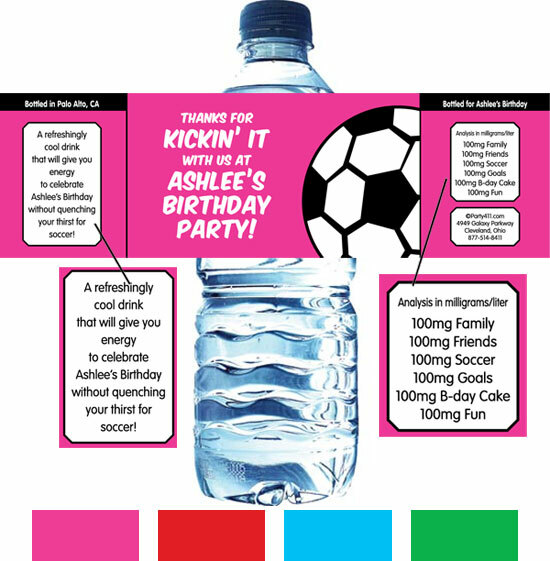 Great favor for your Soccer shindig!